Yoodlee Films’ ‘Hamid’ Releases On 1st March 2019! 'Hamid' premiered globally at the Jio MAMI 20th Mumbai Film Festival with Star in October 2018. Directed by Aijaz Khan ‘Hamid’ won hearts of viewers with its simple and refreshing take on the Kashmir problem and became one of the top films to watch out for year 2019. Siddharth Anand Kumar VP – Films and TV Saregama India and Producer at Yoodlee Films says, “Hamid essentially is a film on the search for hope and solace through the lives of two dramatically displaced individuals. The fact that this is juxtaposed against the complicated geographical ramifications of Kashmir, makes for a sensitive and gripping tale. The response we have got at various prestigious film festivals has been overwhelming and we are imbued with a new confidence to showcase the film to a wider audience. 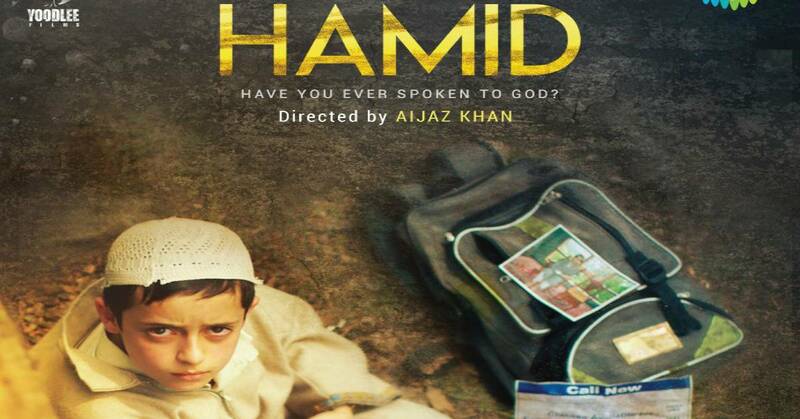 Engaging relevant content for a discerning audience is the cornerstone of Yoodlee Films, and Hamid is a true testimony to that"
‘Hamid’ directed by Aijaz Khan is a sensitive portrayal of the fragility of the human condition in the conflict-ridden topography of Kashmir. An eight-year-old Hamid is in search of his missing father, who his mother says has gone to Allah. The number 786, Hamid learns, is God's number and he decides to try and reach out to Him. Using his father’s old mobile phone, after various combinations, he ﬁnally manages to connect to Abhay, a hard-knuckled CRPF Jawaan, who he believes, is the God he is looking for. Hamid and Abhay – torn apart by politics and bound by a sense of loss, unknowingly and unintentionally, find a way to complete each other’s life, against the rampant violence in Kashmir.